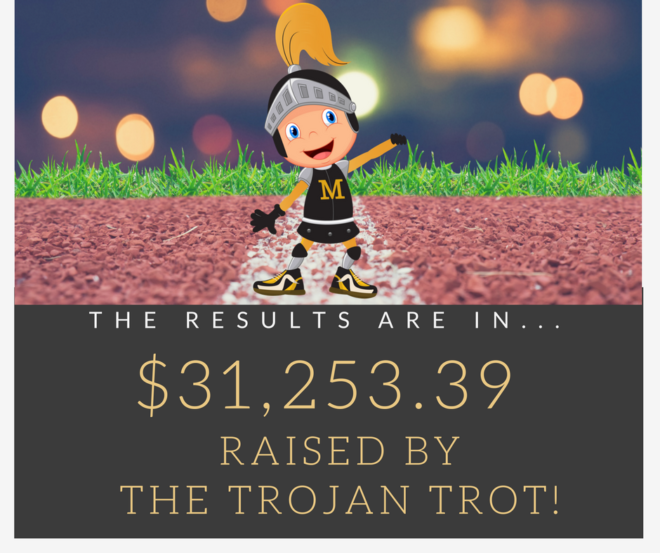 Trojan Trot Results are In! Wow, just wow!!!! The students, families and community really came together to help raise funds. We are excited to announce that we beat our school goal of $22,000 and brought in a total of $31,253.39.